The apron measures 33.5" length by 23.75" width. 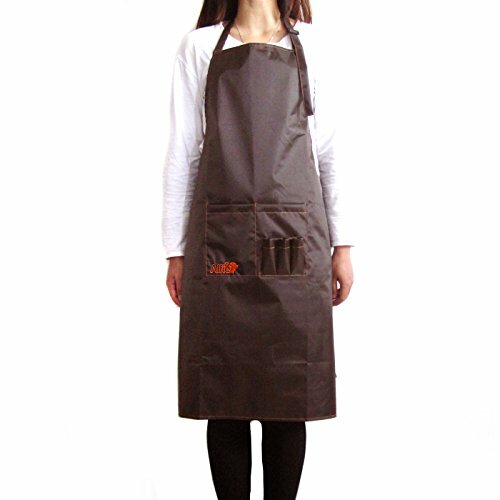 Professional style water-resistant grooming apron. Keep clean & dry while grooming your pet! Multiple pockets. Allow to hold all your scissors, combs, brushes and treats. Adjustable straps & back tie for a secure fit. Machine washable.